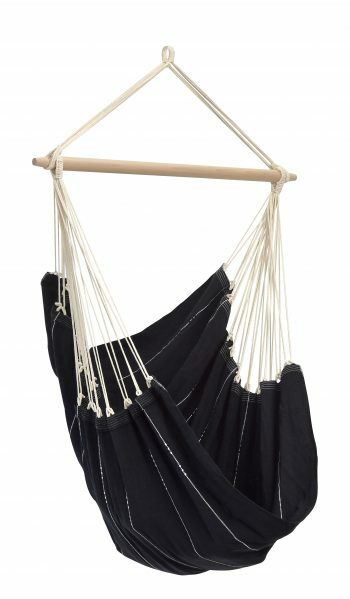 You ask your self, how to make a hanging papasan chair? Then you are in the right place! 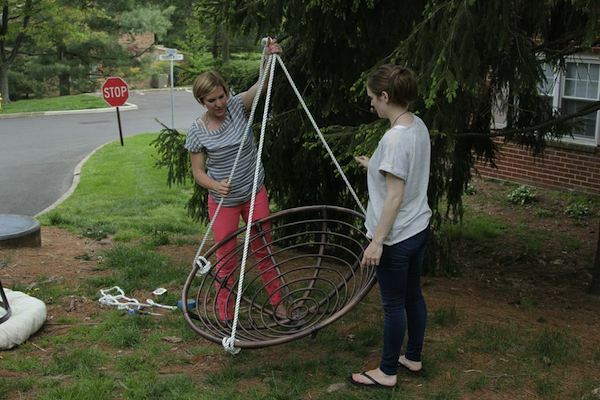 Turning an ugly, dated papasan into a cool hanging chair could not be any easier. Get the step by step instructions for this easy DIY project for your sun porch or even your living room. 2 of 7: Remove the seat from the base. 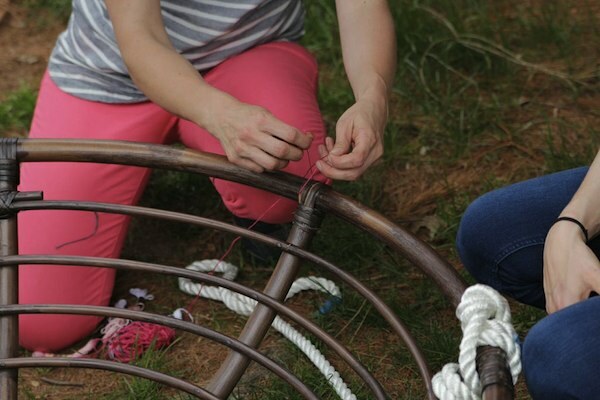 Some papasan chairs lift right off, but ours was held together by a few screws, which we easily removed with a drill. 3 of 7: Spray paint the chair your desired color. Fortunately, the dark wood tone of the papasan we purchased was perfect for this sunporch, so instead, to add some fun color, we wrapped colorful embroidery floss around the outside band at each intersection. 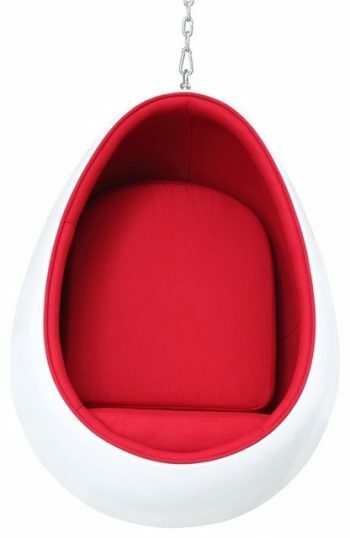 It’s subtle, but totally took this papasan to the next level! 4 of 7: Determine the preferred height of the chair. To do this, we actually just faked sitting in it in the room to make sure the height would work. Cut the rope to that length plus several feet for the knots, three times. It’s better to be safe than sorry, so make sure to be generous with your cut. You can always trim it later! Wrap the cut ends in black electrical tape to keep from unraveling. 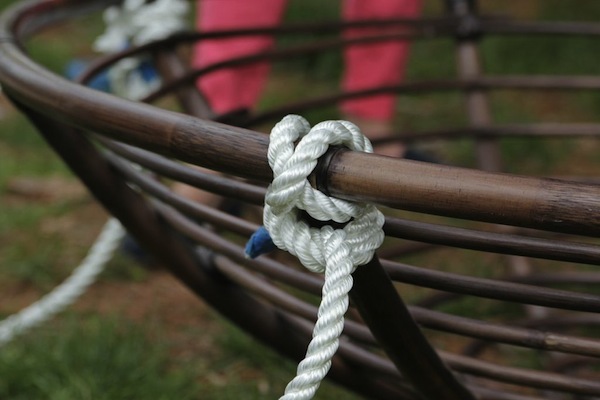 5 of 7: We knew we wanted the rope to attach to the chair at three different places for extra stability, so we picked 3 wood intersections that were in a triangular shape. Thread the rope over on one side the intersection, weave back under the other side and then repeat. You should end up with the rope on the underside of the intersection at the back. Tie tightly in a knot. Do this for all three intersections. 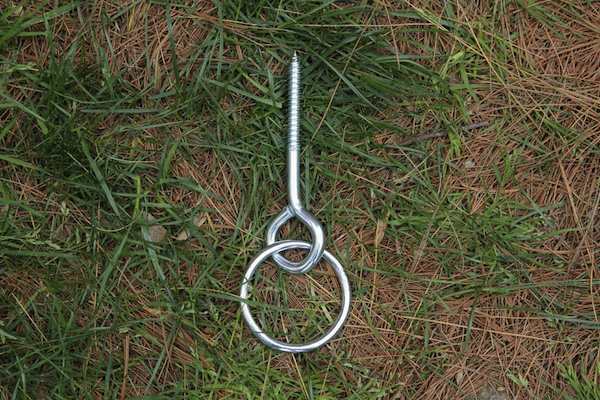 6 of 7: Pull all 3 pieces of rope up towards the ceiling and tie them to an “o” ring that has been drilled into a stud/beam in the ceiling. 7 of 7: There’s nothing too tricky about this DIY, but it might just be one of our favorite upcycles to date! 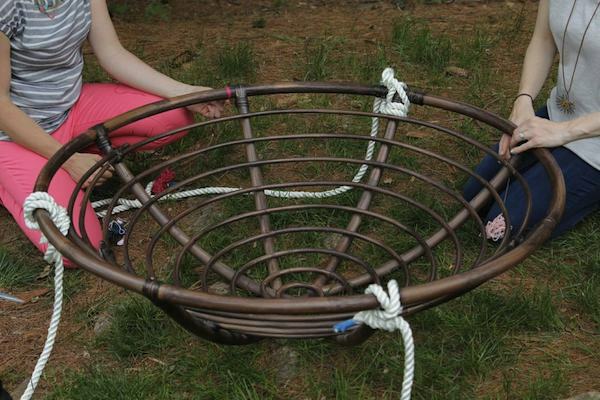 With an appropriate suspension kit, your old papasan base can be hung from any suspension point- indoors or outdoors. 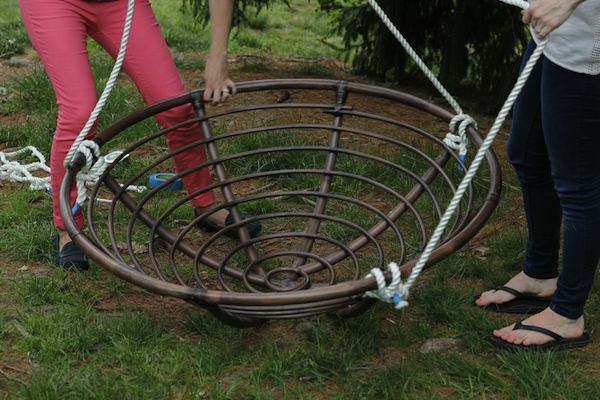 Your new hanging papasan chair is a great reinterpretation of the outmoded papasan chair. With some fluffy white or colorful cushions, it will look more stylish and offer needed relaxation and sublime elegance to any living room or even bedroom. A hanging chair in your living room or in your bedroom is not just a chair for sitting in it. And it looks so fancy! 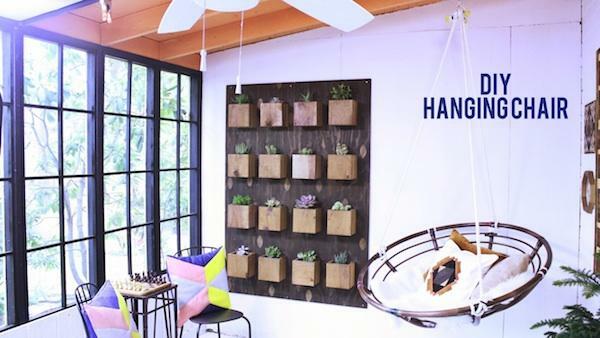 The main reason why hanging chairs for indoor are becoming so popular is due to the acceptance of the philosophy of leading the stress-free lifestyle. 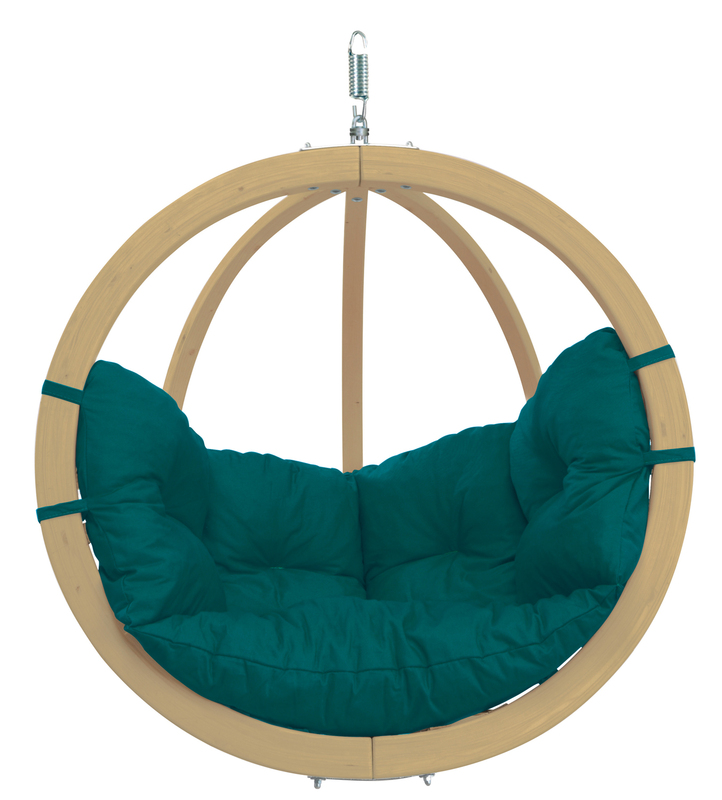 Free your mind and body after a long and busy day at work- jump in a hanging chair like this, relax and have fun!